Recently I try too learn docker and how to use it, because I want to use it on my team. For start I only need this as development environment on developers local machine. The task was simple, for now I just need start PostgreSQL and Redis, there are plenty information on the Internet how to start those containers and how to prepare docker-compose to start those two services, but there was ONE BIG PROBLEM I want my database data to be persistent so after we setup database and insert data and machine restarts or shutdown data will not be lost. I was not able to find one clear way of doing this on Windows.. 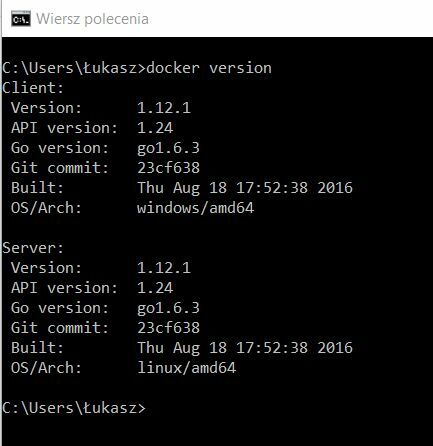 I use docker version 1.12 for Windows. So I start it with docker-compose up and both services: postgres and redis started and I was able to access it and create database with data, I was so happy when I run command docker-compose down and once again docker-compose up and saw that my database still exists without recreating!! Yes!! But it works so propably my task was over..... not so fast, I need to restart my Windows, and after this I was suprised after launch docker-compose up.. my database with data was gone :-(. 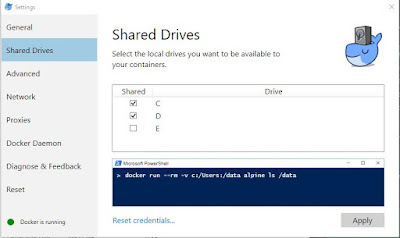 Ok So I will try to read how to mount folder from host machine to docker containr in Windows. so I ended with this error data directory "/var/lib/postgresql/data" has wrong ownership and for now I gave up trying to mount volume on host machine. 2. 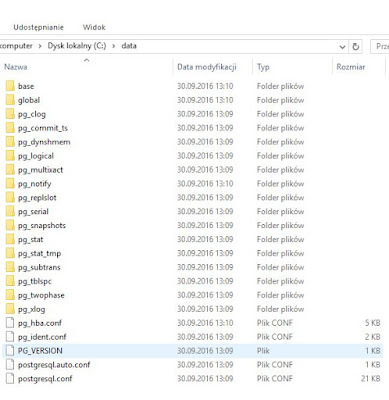 As a credential I put username with computer name RISCOLAP\Łukasz or using ip address like this: 10.0.75.1\Łukasz, when we put just username we are not enable to list shared folders. 5. I try to start postgres container with my host volume: At start everything was looking really good. Folder on my host was filled with postgresql files!! And then I saw this error on console :-(, and my joy was over. waiting for server to start....FATAL: data directory "/var/lib/postgresql/data" has wrong ownership HINT: The server must be started by the user that owns the data directory. For now I do not find answer how to deal with this error. So for now I stop trying mount host folder as volume. Hi, Thank you for your comment. Like you suggest this setup is not for critical data and this why I only think to use this setup on development environment or testing but not on production. It feels like a very important thing is missing here. 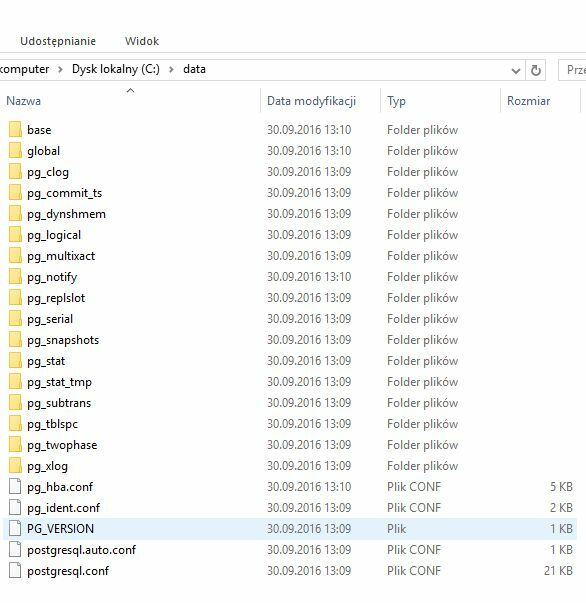 How to get access to the actual files in this approach? 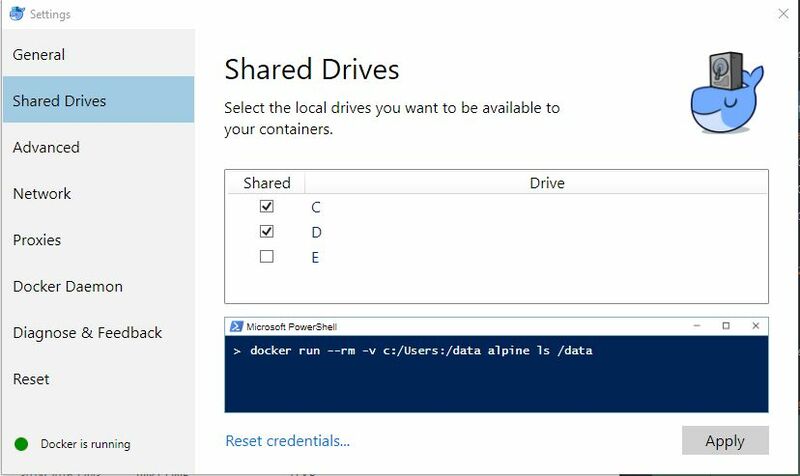 So docker Postgresql shouldn't be used on Windows? How to tell if fsync is respected?